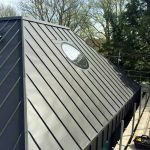 This project in Hurstpierpoint in Sussex comprises a new-build house (to be linked to the existing property), constructed in the style of a traditional barn. 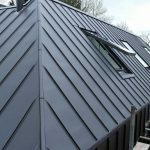 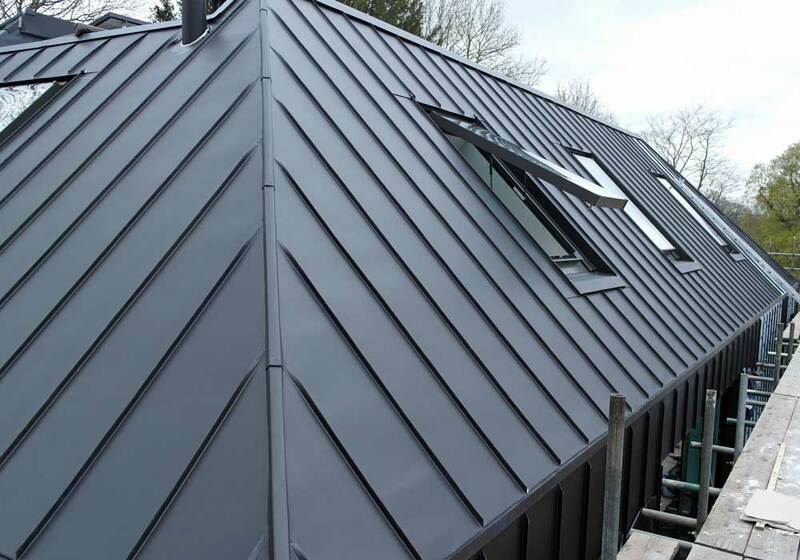 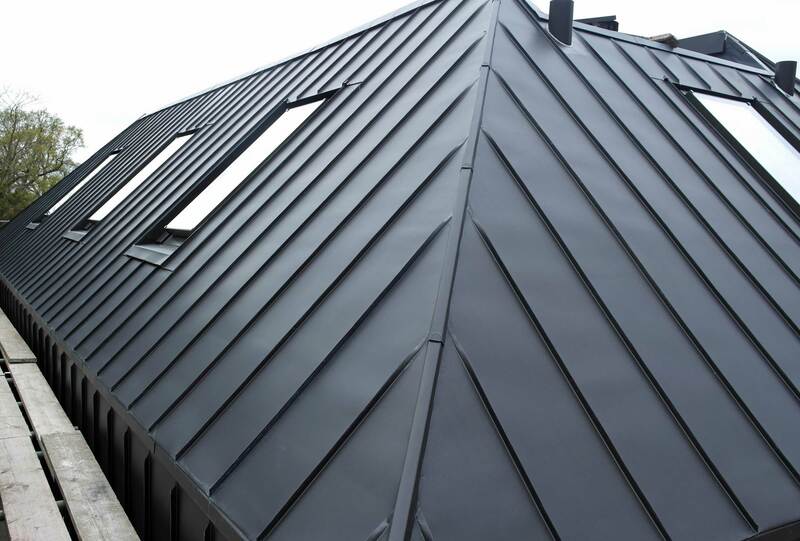 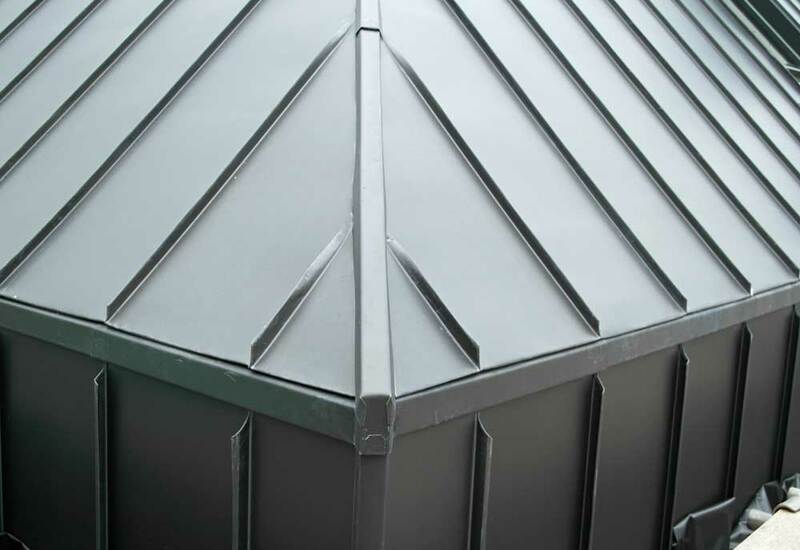 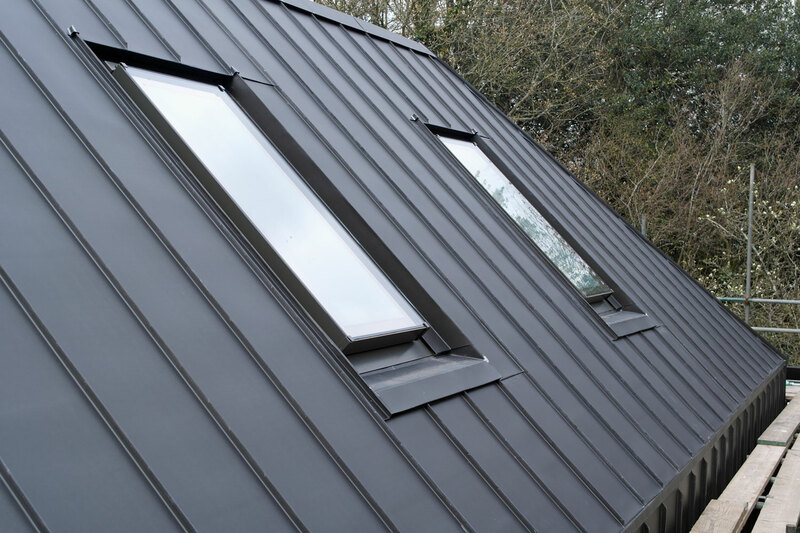 Although, less traditionally, the clients (who are architects) have specified black zinc cladding to roof and upper walls. 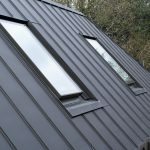 Of particular interest to us is that the clients wanted to completely avoid gutters and have the rain water falling down from roof to ground. 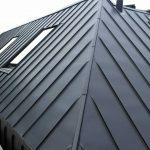 This required some creativity from us to adapt the conventional eaves detail. 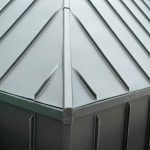 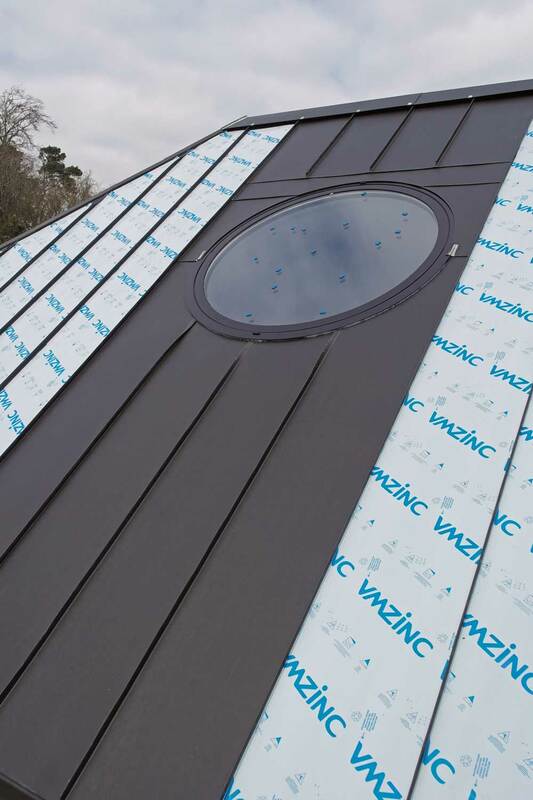 We have obviously had to take great care that every fold of zinc at the top of the walls is perfectly correct and will not allow ingress of water. 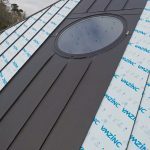 The project has been filmed for an episode of Grand Designs. 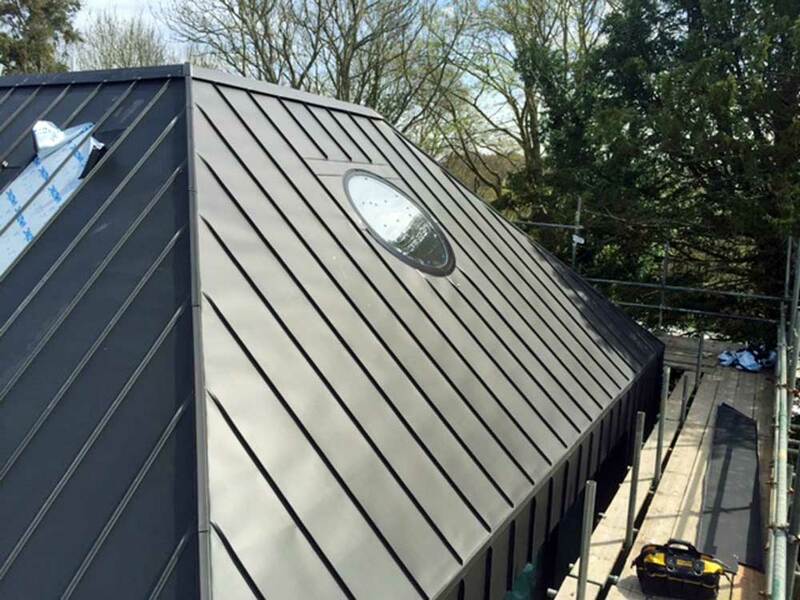 We hope you might see us on there soon!